An interesting bit of conflict with generous people is when they feel pulled in separate directions by opposing needs. Put your generous character in a position where they must choose who to help, and that inner turmoil at feeling that they are letting down the other party. Generous people have dreams and desires too. What happens when a dream conflicts with the needs of others? Does your generous character sacrifice the dream for the greater good, or for once, choose self-fulfillment? Consider an environment where a generous person is continually taken advantage of. How does it affect them–do they bend, or break? I know someone who is so generous that I could show up at her house, unannounced, with half a dozen hungry strangers with muddy boots — and she’d hurry off to the kitchen to cook us a whopping big meal. I’ve modeled a character in my WiP after her, and she’s HARD WORK to get right because she’s so implausible. I’ve had to make her bossy and a bit insensitive just to make her more believable. I like the idea of making a generous person choose to add tension to the conflict and improve the narrative. We believe so, Clarissa. Not positive, since we’re still working through the details. But I have a Kindle myself, so I’d like to see it in Kindle format. 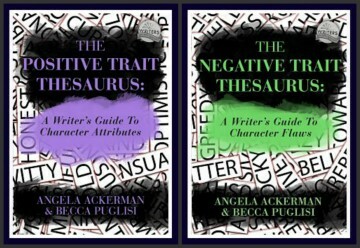 Question for you: When you publish this thesaurus, will it be available for Kindle? What a great character to have around!! Though you’re right, they could get taken advantage of easily. Thanks for the great entry, as always!! Personally I’ve grown a bit jaded, but I still tend to be an easy mark. You really covered this sort of character in this post. I know what you mean, The Golden Eagle. It makes me sad for humanity when someone intent on doing good is taken for a ride. Reading about generous characters sometimes saddens me; particularly in stories where they’ve been taken advantage of, when they’re just trying to help. Great choice, Ange. Feeling quite festive as I head out to Al’s work party, though not exactly generous. Al refuses to let me buy anything for the White Elephant exchange. Instead, he scrounged some old crap from the garage. Ooh I could write a novel in these comments. I wish the world would read this. Great stuff!